Well the Boston Marathon Training has officially started. I am two weeks and the mileage is begin to increase. I did 45 miles the week before and 51 this week. I need to start doing some longer runs. 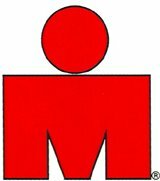 I will also be posting my training log on here for the marathon as I update it. Running is this cold weather is tough but it all pays off and as long as you dress warm you are running. Keep up the training.